We seem to be on a roll with unexpectedly lovely products at the moment. Last week we looked at a surprisingly beautiful ..erm.. toothbrush (trust me, it’s nicer than it sounds). 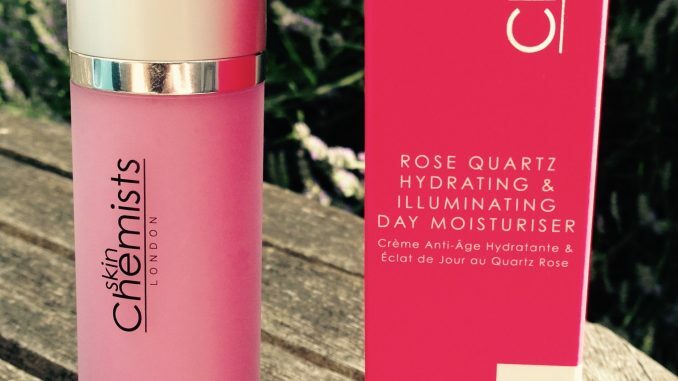 And this week, well, have you ever seen a prettier piece of pink skincare than this? 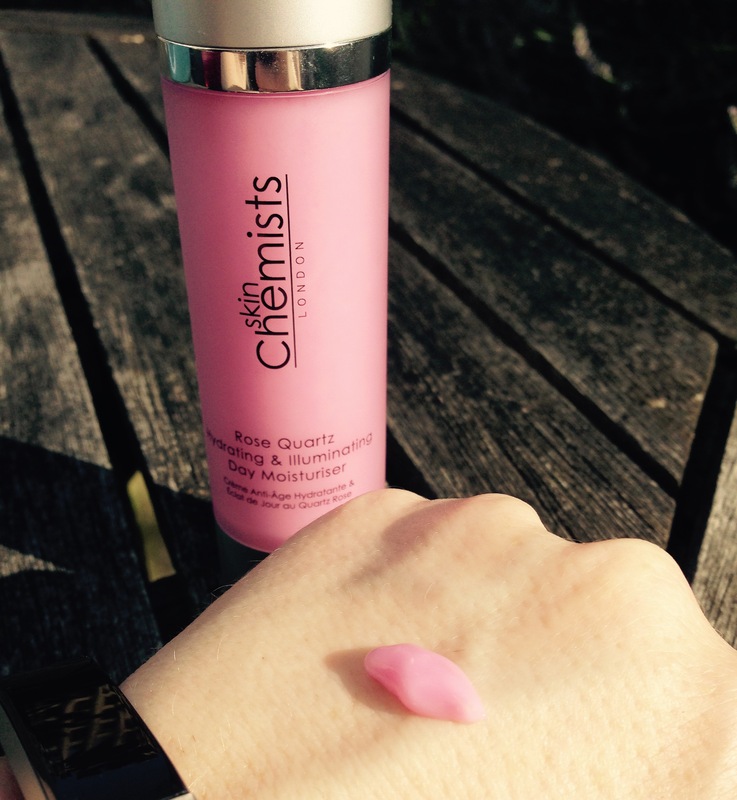 This is the Rose Quartz Hydrating & Illuminating Day Moisturiser by SkinChemists. It aims to smooth, illuminate and refine the skin whilst protecting against daily environmental damage. All the while looking perfectly adorable in the most lovely colour and scent of dusky pink rose. Once you rub it into your skin the pink colour disappears, but it’s a happy place to start, don’t you think? Obviously this is not for you if you have very sensitive skin that reacts to added colours and perfumes. But if those things don’t generally bother you, you’ll probably be fine. 3) Rose Otto Oil to help restore moisture balance in the skin. It also works as an anti-bacterial. For all its floral theme, this light moisturiser is best suited to people living in urban and city areas. If your skin is exposed to daily pollutants then this is designed to protect and support it against them. So it looks pretty and works hard – much like yourself, I’m sure. Because it’s quite light, I’ve been using it under a facial sunscreen. In terms of protecting the skin, that’s the only thing that’s missing here – a good dollop of SPF. And although it promises to be illuminating, that effect was very subtle. If glow is really your thing then it will enhance rather than replace cosmetic illuminators. But as one of those products that’s a real pleasure to use and makes you feel good about yourself, it’s a winner. 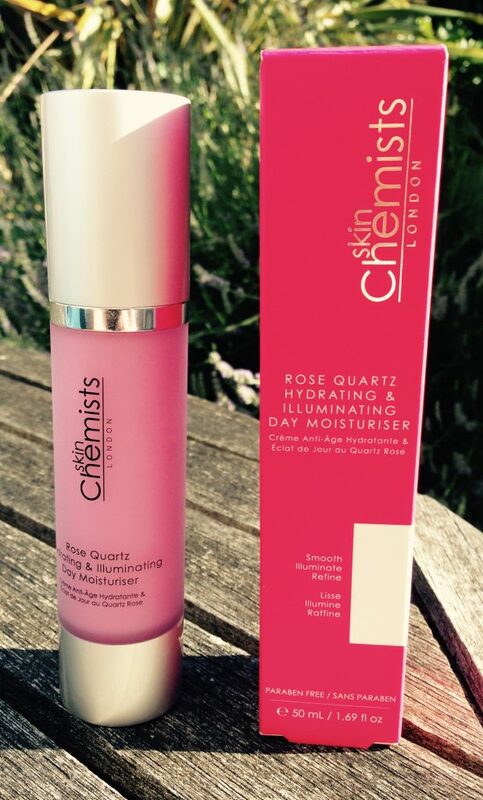 Rose Quartz Hydrating & Illuminating Day Moisturiser (50ml RRP £89.90) is available here on the SkinChemists site. The British brand SkinChemists works with leading pharmacists, chemists, scientists and beauticians worldwide to create revolutionary and effective skincare treatments. If you’re a regular reader then you will have seen this brand before as we’ve already looked at their Bee Venom Facial Serum and range of snail filtrate products. In general I would say this is a specialist, luxury brand for people who are serious about skincare and interested in innovative ingredients. Prices can be high, but they regularly have deep discounts, so if there’s something you’ve got your eye on, keep watching in case it goes in the sale. For example, this collagen eye serum is currently reduced from £95 to under £20.